Thanks to all of our supporters! The Clean Water Boogie fundraiser was a huge success! Thanks to everyone who attended! We raised over $12,000.00, putting us well in excess of the amount we needed to complete the water study we are currently conducting. The extra funds will be set aside for future environmental projects. An extra special thanks goes out to our event sponsors! 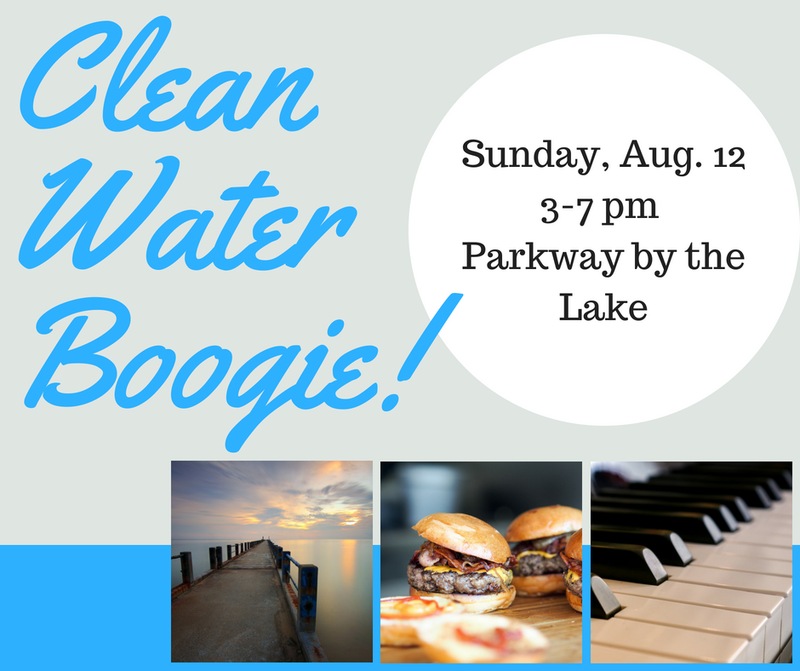 Party with the Squaw Creek Clean Water Alliance as we raise money to keep Long Lake healthy! 25212 W Lake Shore Dr. When purchasing, please make sure the name on the ticket(s) is the same as the name on the charge card. American Express is not accepted. The Squaw Creek Clean Water Alliance is a combined effort of the Long Lake Improvement and Sanitation Association, the Woods & Wetlands Group of the Sierra Club, and Livable Lake County. The best way to keep up to date with LLISA news and events is to follow us on Facebook. We post regular updates which will not appear here on the website. The Squaw Creek Clean Water Alliance is raising funds for a water monitoring study on Long Lake. The extremely popular artist and Long Lake resident Dave Becker will instruct attendees to produce their own painting. All supplies will be included. Snacks and non-alcoholic beverages will be served. Painters are invited to bring their own alcoholic beverages. "To help victims of last year’s historic summer floods, I passed a Flood Victims' Tax Credit. To learn how to access this state income tax credit, I am hosting a free seminar from 6 to 7 p.m. Jan. 17 at the Avon Township office, 433 E. Washington St., in Round Lake Park. "This credit is only available for the 2017 tax year, so it’s important that flood victims learn about the credit and how to qualify.The new state income tax credit is worth up to $750 and is for individuals and businesses who suffered property damage in the floods in July 2017. "The tax credit is administered by the township assessor’s office or the CCAO. Homeowners whose property was reassessed as a result of flood damage are not eligible for the credit. "I am partnering with Avon Township Assessor Chris Ditton to provide an overview of the tax credit, guidelines for eligibility and instructions on how to apply. The seminar is free and open to the public. RSVPs to my office at 847-231-6262 or RepSamYingling@gmail.com are appreciated but not necessary. "Anyone who cannot attend the seminar but would like information on this one-time opportunity can call me at 847-231-6262 or email RepSamYingling@gmail.com to learn more before filing their income taxes too." RJ Ringa's term as LLISA President will come to an end on December 31, 2017. Over the last four years, RJ has worked tirelessly on numerous projects for Long Lake. Not only did RJ continue his work with the Volunteer Lake Monitoring Program (something he has been doing since he was in high school), he also expanded the scope of the program to include Tier 3 monitoring which provides LLISA with high level water quality data. RJ was instrumental in overseeing the installation of the new sluice gate at the Squaw Creek dam. He established partnerships with environmental groups such as Sierra Club, led LLISA's effort to make Baxter's sewer connection a reality, reinforced relationships with local and state governmental organizations, and much much more. Importantly, RJ leaves LLISA with strong leadership. The LLISA board of directors has elected Joe Popeck as President and Jack Cahill as Vice-President. Both Joe and Jack have already assumed many new responsibilities and are working hard for Long Lake. Our organization appreciates their willingness to serve. LLISA also now has an entire team of volunteers working on environmental issues and a strong collaborative relationship with Sierra Club that will serve us well going forward. We would also like to share some news about Baxter. On December 20, 2017, Attorney General Lisa Madigan, along with Lake County State’s Attorney Michael Nerheim, announced a lawsuit against Baxter for releasing wastewater containing contaminants that exceeded allowable limits into Squaw Creek. Anticipating the possibility of the state taking legal action, LLISA wrote a letter to the Illinois Attorney General in July 2017 requesting that any fines levied against Baxter be directed back to Long Lake in the form of funding for projects designed to improve the quality of the lake. The full text of LLISA's letter can be found below. Construction is underway for Baxter's sewer connection! 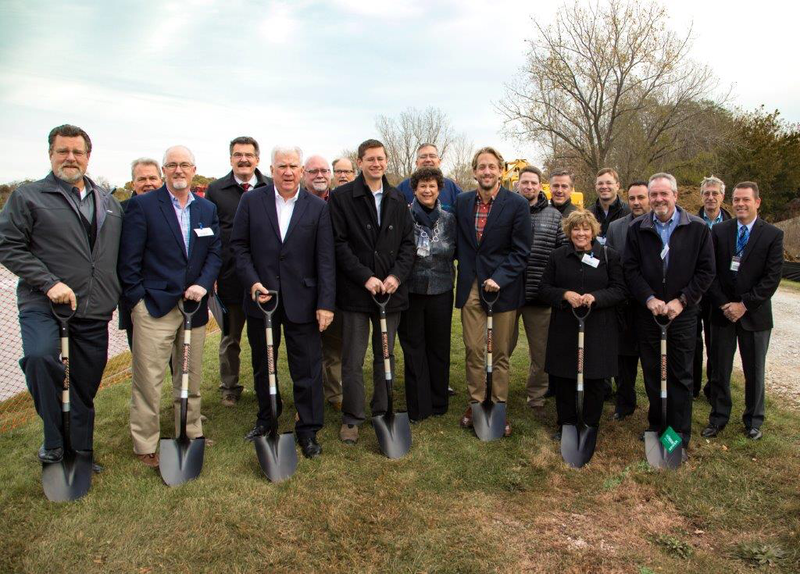 LLISA representatives were recently in attendance at Baxter's groundbreaking ceremony for construction on its connection to the public wastewater system. Construction is underway and is expected to be completed by the end of 2017. After a short period of testing, all of Baxter’s sanitary wastewater will begin flowing into the municipal sewers in early 2018. This means that Baxter’s wastewater discharge into Long Lake will soon stop. Long Lake Improvement and Sanitation Association has been advocating for Baxter’s sewer connection for many years. Because of the number of major stakeholders involved, including Lake County, the Village of Round Lake, the Village of Fox Lake, and the Lakes Region Sanitary District, the process was frustrating and took longer than we had hoped. Nevertheless, LLISA leadership is pleased with this outcome. LLISA volunteers have spent countless hours on this endeavor and are eager to now turn our attention to other issues critical to the health of our lake; specifically phosphorus and blue-green algae, the focus of our continuing work with Sierra Club. We will also now be able to focus more attention on our most critical asset and primary charge, maintaining the lock and dam so that we can all continue to enjoy Long Lake. LLISA is happy to share that Baxter International has reached an agreement with the Village of Fox Lake for treatment of waste water. Thanks to Judy Martini for her continued work on this issue and for keeping us informed. Fox Lake now joins Round Lake, Lake County and the Lakes Region Sanitary District who have previously approved the sewer connection. With Baxter also getting a permit from IEPA, the construction phase is already underway. This means that, once completed, Baxter’s Round Lake facility will no longer discharge treated industrial and sanitary waste into the Squaw Creek Watershed and Long Lake. This is certainly great news for Long Lake. Look for further updates as the sewer connection moves forward. Please contact LLISA if you are interested in joining the effort. More volunteers needed. Congratulations to Peg Toomey for coordinating the very successful lake clean-up in June. We had dozens of volunteers who pulled several truck-loads of debris out of the lake. The lake is now fully open! Due to the water receding at a faster rate than expected, Long Lake is now fully open to normal boat traffic. We are no longer no wake. Out of respect for those dealing with damaged piers and shoreline erosion, we do ask that you keep at least 100' away from shorelines and piers. The foreceast looks fantastic. Enjoy the weekend! Stay up to date on all LLISA news here.